Ballymartin Herefords founded in 1947 by Gus Kingston. Since 1952, there have been no new females bought into the herd. My father always bred from the very best stock sires he could buy in Ireland and England and always with the objective of breeding cattle that perform to the true qualities of the breed. We have never left that principle. With no selective feeding, no creep feeding, out wintered calving without assistance and alone out over fields. 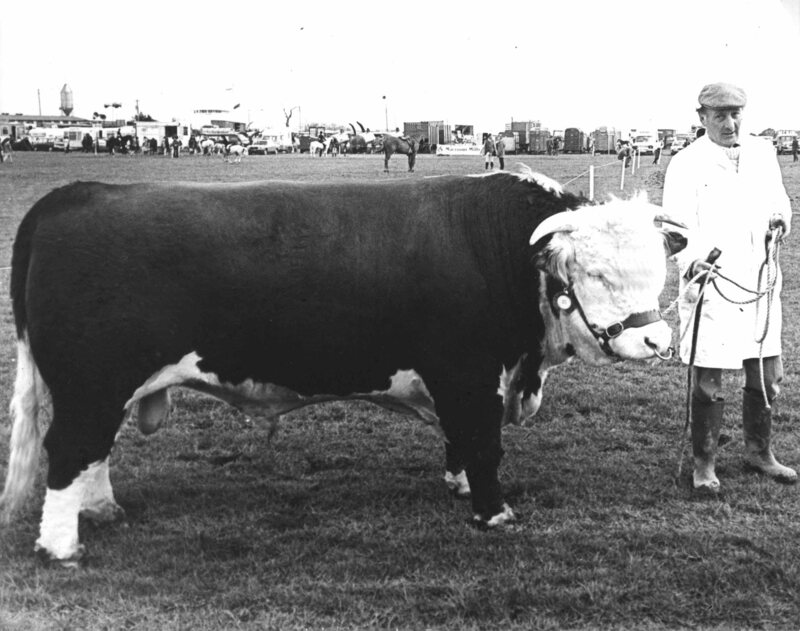 Gus kingston with Freetown Archduke imported by him from Freetown herd uk and unbeaten in showring .We were also privileged to have the Canadian imported bull B.P 155 Pacesetter8x running with herd for 3 years he left his mark as did Freetown Archduke .